More than 6 million people were involved in Georgia motor vehicle accidents between 2000 and 2006, according to data from the Georgia Department of Transportation. During this time, 11,435 people lost their lives, with an average of 31 people dying in crashes every week. Those who were killed or injured were involved in many different types of accidents, in rural, suburban and urban areas. These crashes involved all types of vehicles, including cars, pickups, SUVs, vans, motorcycles and large trucks. Head-on collisions – Head-on crashes are very dangerous because the force of the crash is increased due to the combined momentum. According to CASI, 1 in 10 fatal accidents on two-way roads were head-on crashes. Rear-end collisions – These types of crashes often result in whiplash or soft tissue injuries. Tailgating (following too closely) is often a factor in rear-end collisions, as is distracted driving. Side-impact accidents – Also called “T-bone” or “broadside” collisions, these accidents most commonly occur at intersections. They often happen when a driver makes a left turn in front of oncoming vehicles or when a motorist doesn’t yield the right-of-way at a traffic light or stop sign. Almost 61 percent of fatal intersection accidents were T-bone crashes, according to CASI. 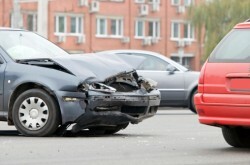 Multi-car pileups – These are often chain-reaction crashes that involve more than two cars. Multi-car pileups are common when the weather is bad, when visibility is low and in high-traffic areas. Pedestrian accidents – According to CASI, three pedestrians on average were killed in car accidents in Georgia each week from 2000 to 2006. Motorists are often to blame when a pedestrian is hit by a car. Truck accidents – When a large truck or bus is involved in a crash, it is more likely to be deadly because of the large size of the commercial vehicle. Heavy 18-wheelers and other trucks require much longer stopping distances, which can make an accident more likely. The vehicle’s mass increases the potential for serious injuries. Bicycle accidents – Bike riders are 10 times as likely to be killed in collisions compared with the occupants of vehicles. Children are killed in bike accidents in disproportionately high numbers. Motorcycle crashes – Motorcycle accidents were 12 times as likely to be fatal as accidents involving passenger cars. Like bicyclists and pedestrians, motorcycle riders lack the protective frame that cars and trucks provide. Rollover accidents – Top-heavy vehicles such as SUVs and trucks are commonly involved in rollover crashes. In some cases, the accident is caused by a defect in the vehicle itself rather than by the behavior of the driver. Sideswipe accidents – These types of accidents commonly occur when a car turns too wide in a double turning lane or when a car veers out of its lane and hits the vehicle next to it on roads with four or more lanes. Single-vehicle accidents – In this kind of collision, a driver might hit a fixed object or an animal. The accident may also be caused by a pothole, blown tire, manufacturing defect or other problem that causes the driver to lose control and roll over or skid into a ditch. Each of these types of crashes can occur virtually anywhere at any time, resulting in serious injury to those involved in the accident. When it comes to any type of car accident lawsuit, the experience of attorney J. Michael Parsons counts. To speak directly to Michael, call our offices today for a free evaluation of your legal options. Contact us now at 770-422-9000, or fill out our online contact form. We return calls within 24 hours from our offices inAtlanta and Savannah, and we’ll give you the personal service you deserve.